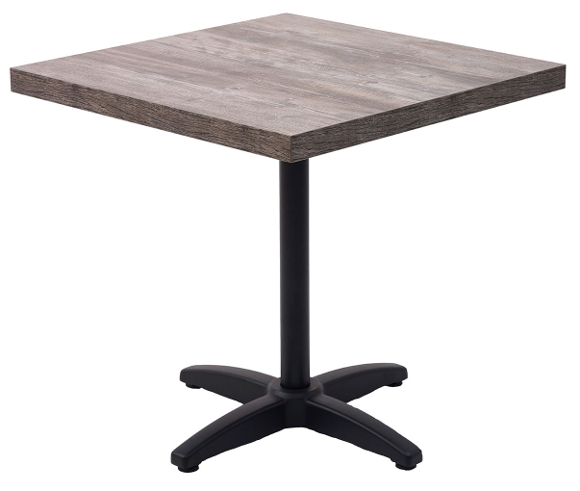 The square Marco Table collection features a 2" thick high pressure laminate top, with self edge. The wenge color is also available with aluminum edge. Other colors include concrete,vintage pine,sawcut oak, zebra, & wenge with self edge. This table is available in both 29" and 42" bar height. The square corners make it perfect for restaurants when the need to put tables together arises.